Defensive Shotgun 1 - Verdad Investigations & Protection, Inc. The Shotgun is one of the most under-utilized, common firearms found in many personal and law enforcement inventories. It is the most versatile and most powerful weapon deployed in many close quarters situations. 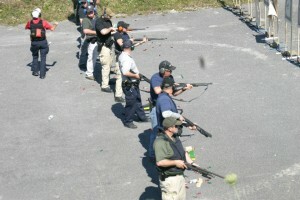 The Defensive Shotgun Course #1 is the first in a series of shotgun training courses in response to the public’s need for specific firearm training utilizing the shotgun in defensive situations. This course is oriented toward the shotgun owner who is familiar with the operation of the shotgun and would like more than the basic training utilizing the Shotgun of their choice.